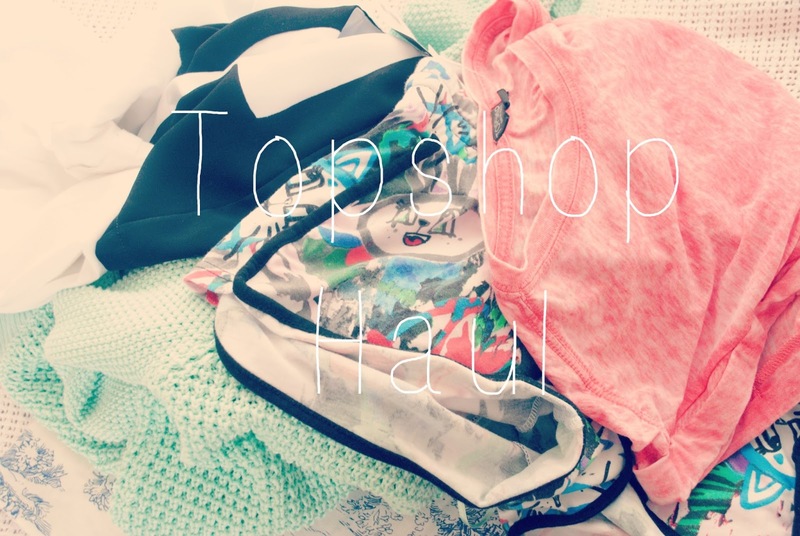 Over the past few months I have had quite a few cheeky visits to Topshop and made some purchases. The first three items of clothing are mainly essentials , things I tend to wear on an everyday basis. The first top is a coral t-shirt that is super soft and perfect for when your having a bit of a lazy day. The t-shirt is a bit sheer so I usually wear a vest top underneath it. 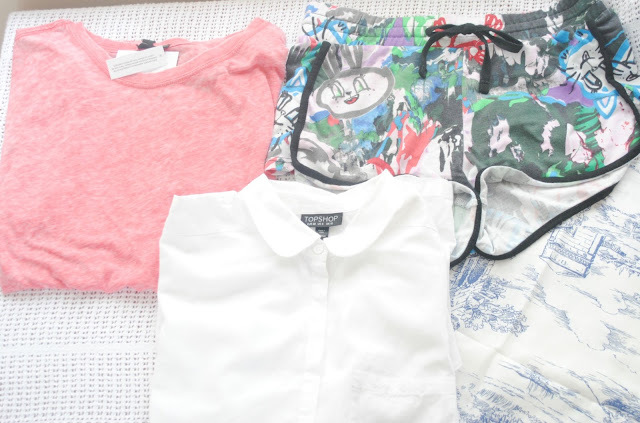 Another essential I bought is a white short sleeved shirt that is perfect for underneath dresses and jumpers. I also bought a pair of cotton shorts with an urban print on it. When I first tried these on I wasn't that sure about them due to the fact they were quite short but they are extra comfy and perfect for hot weather. In the picture below I have a jumper and a blouse which I love. The blouse was featured in a previous Topshop wish list so when I saw it in the store I knew I had to buy it. The blouse is mainly white with black sleeves and I like to wear this with black hot pants and a gold , chunky chain. I love jumpers and even in the summer months I cant say no to a jumper. This jumper is a pastel green colour with a chunky knit main body and a smaller knit on the arms which I love. This jumper comes in some really lovely pastel colours such as purple and orange. Have you recently bought anything from Topshop ? Such a great haul! 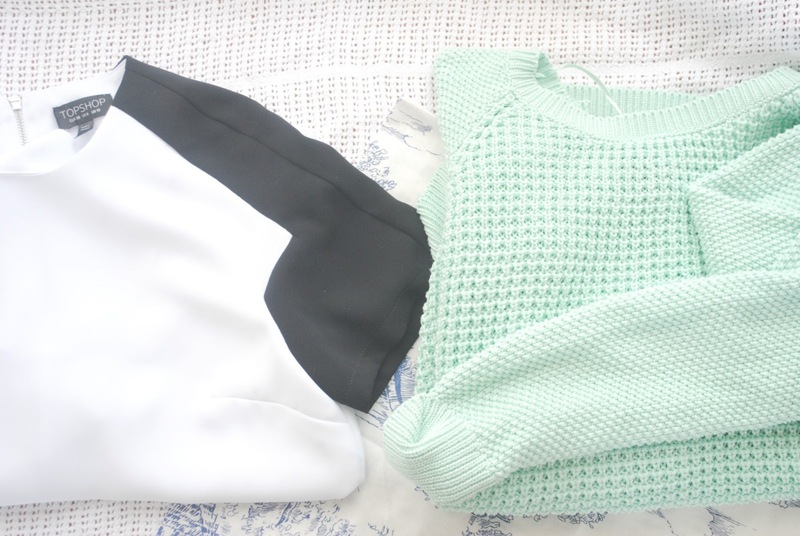 I love that mint green sweater-I've been looking for one for ages!